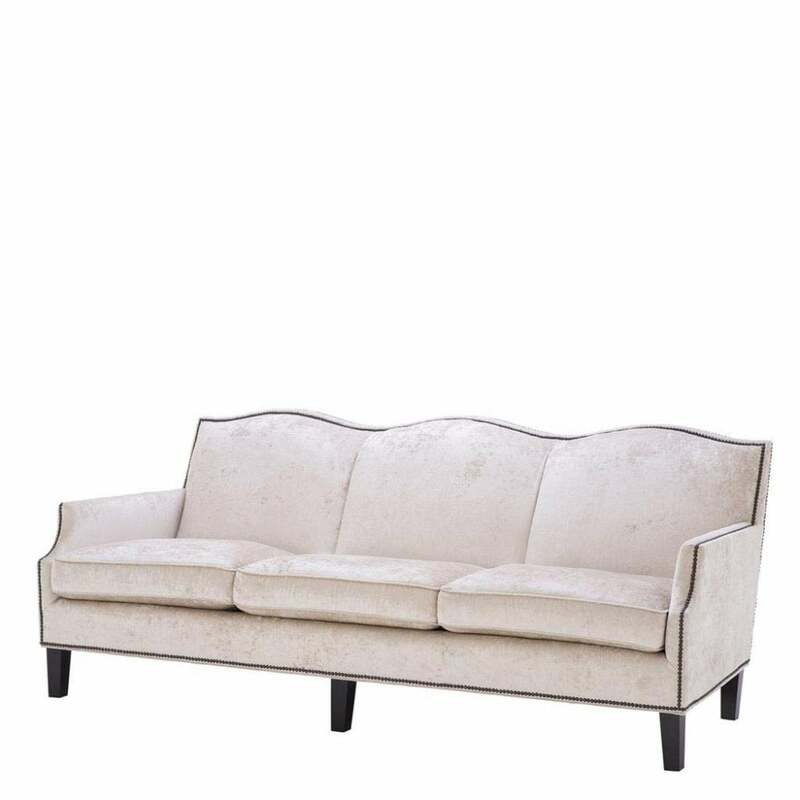 The Merlin Sofa by Eichholtz has a classic and timeless shape that will bring a touch of luxury to any home interior. This three seater sofa is crafted with sturdy framework and a plush foam fill to provide maximum comfort. Upholstered in a textured off-white fabric, the beautiful hue gives this sofa a covetable elegance and sophistication. Adorned with antique brass nails, Merlin is finished with polished black legs for depth and contrast. Create a Parisian look with dark wood flooring, gold accessories and creamy white walls. Combine with the Merlin Chair from Eichholtz for a luxe living room scheme. Get in touch with our team for more information and advice.